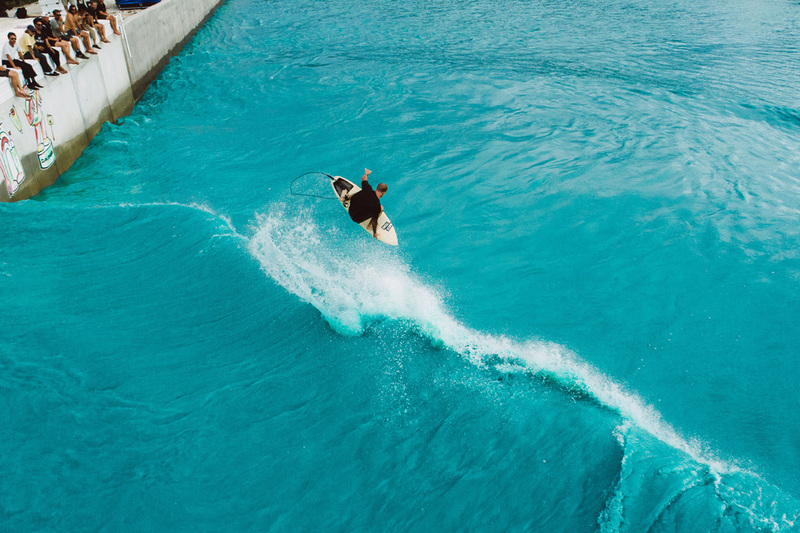 The first of its kind air-specific wave pool event went down in Waco this weekend courtesy of the creatives at Stab Magazine. The uniquely formatted event awarded Noa Deane the top prize and $25K for his main event win. The other events-within-event winners were Ethan Osborne who took home $20K for the highest air of the competition and all the participants of the Acid Drop event who won a huge chunk of, not cash, but good fun. The finalists in the main event each surfed nine waves. Ian Crane, Eli Hanneman, Chippa Wilson, Eithan Osborne, Noa Deane and Mason Ho all got four lefts, four rights and one wave of their choice. The lead in the final see-sawed back and forth between Deane and fifteen-year-old Hanneman. But Noa’s unique frontside big spin mid final earned the highest marks and sealed the win. In the Raise the Roof highest air segment of the event Eithan Osborne put the most distance between himself and the wave, earning him the fat prize pay of $20K. Along with the main event and high air spectacle, there was an Acid Drop Challenge hosted by Nathan Fletcher that thrived for its overall gnarlyness, costumed antics and bravado. 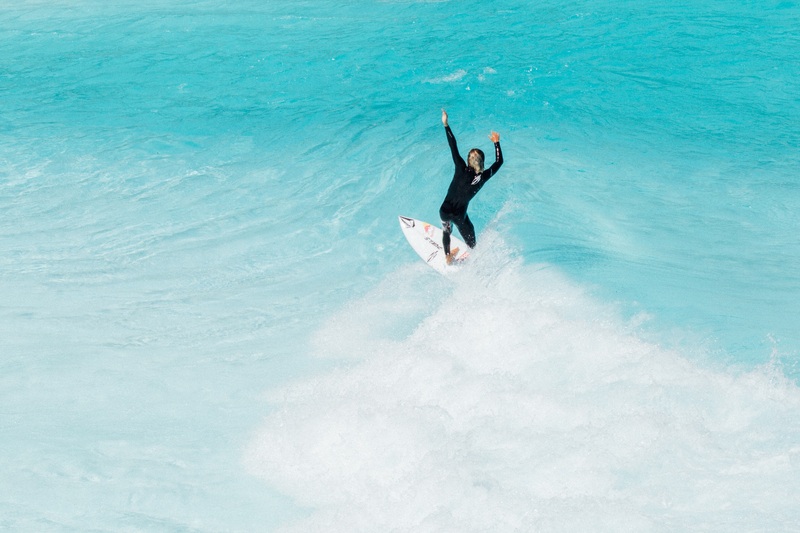 Stab highlighted moments like Dion Agius running along the wall, pounding cold beers, throwing his leash on in a hurry and hucking himself off the wall while a man in a speedo thong snuck a wave in the pool below and Austyn Gillette dropped off the wall wearing an open collared shirt, sunglasses and hat. Chippa Wilson’s innovation earned him a solid second place. Image courtesy Stab and Monster Energy. The first of what we hope will be an annual event (how about a new world tour? 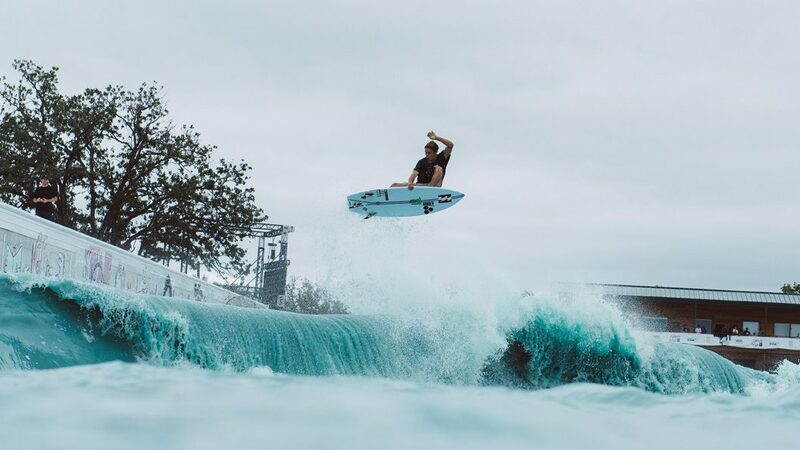 ), the Stab High contest invited 20 top non-WSL surfers (which is why there was no John John or Filipe) to the BSR Cable Park and the newly minted wave by American Wave Machines, to go big on the world’s largest human-made air section. Entrants were chosen by Stab and Stab readers in an online poll. @chippawilson just now from the VIP end of our play pool.